On February 7, 2015, guests, employees and their families gathered together to celebrate SINDIA’s 20th anniversary. 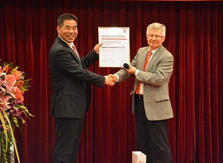 Under the leadership of General Manager Xiao Chuanqiang, SINDIA Instruments Co. Ltd gained a dramatic development during the past 2 decades and won customers’ wide approval and recognition, like a shining pearl in the industry at home. 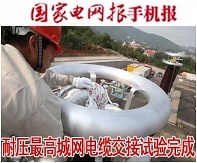 On June 8, 2014, the voltage-endurance test of 500kV power cable handover in Haidian District of Beijing, was completed, and the cabling system passed the test successfully. 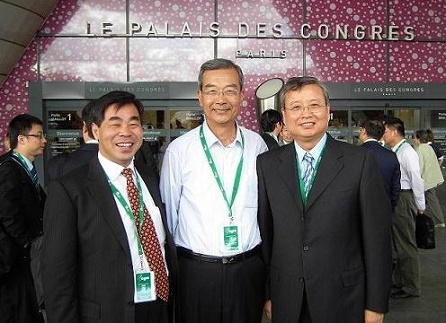 From 26th Aug. to 31st Aug. 2012, GM Xiao Chuanqiang from Beijing SINDIA Instruments Co, attends on invitation the 44th session of CIGRE Meeting.